163 votes were given in the poll that ended May 2nd, 2002. A newcomer Lorenzo Vanham was chosen the Moustache Muscle God of the spring. 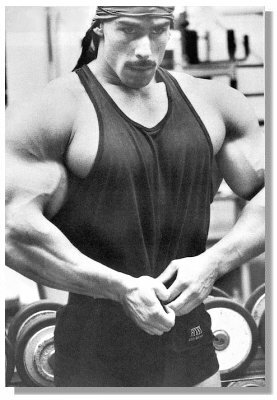 Mike Mentzer came second, Bill Burney third and Samir Bannout took the fourth place. The loosers in this contest were Patrick Nicholls, Alois Pek, Bob Jodkiewicz, John Schleicher and Frank Scolaro who were removed from the gallery. The five new contenders are D'Marco Blewett, Pete Grymkowski, Rusty Jeffers, Don Long and Sonny Schmidt.